One-button audio recording on/off for privacy protection concerns. One-button HD picture taking. Customizable automatic display off while recording for energy saving. Manually adjustable brightness, contrast, white balance settings. High definition: This super HD portable Vehicle DVR recorder features 2304*1296 high definition video. It can be used as convincing video proof in the event of an accident. Wide Angle: Its 170 degree wide view angle camera lens ensures you a more complete viewing and recording. Motion Detection: Any motion within the view range would trigger the DVR to begin recording automatically. With it, you would be focused on driving. This can also be used while the car is parked to record potential criminals. G-Sensor: This feature will help determine the direction of the collision, and simultaneously set the recorded data to protection mode with the help of changes in XYZ curves. No need to worry the recorded data been overwritten by circulated recording. Night Vision: Night vision ensures high-definition recording even at night or in poor light conditions. Note: Please pay attention that TF card is not preinstalled in the DVR. The device itself supports Minimum 4GB & Maximum 32GB TF card. We recommend this SanDisk Extreme 32GB Class 10 MicroSD card as it has a write speed fast enough for the highest resolution. Warning: Although this SD card works with the camera, some suppliers have recently been sending faulty versions. If you order a faulty card, you need to let the seller know and get a refund as soon as possible. Full-HD Video 2304x1296P (better than 1080p) at 30 fps, super wide 170° angle. The camera can automatically record hands-free in a continuous loop. It automatically overwrites the oldest video file with the newest. GPS: Built-in GPS module precisely record GPS data into video clips, and you can check vehicle location/speed/route on the provided software. 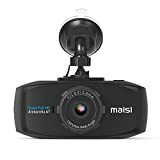 Smart and safe driving with the camera’s intelligent speed or line-changing warning, as well as the headlight indication, etc. GPS Route software does NOT support MAC & 64-bit Windows. We recommend using Registrator Viewer instead of the included software. Full 12-Month Warranty To Cover Any Issues. First Class best support for all customers. All emails would be replied in 24 hours; Our contact email is inside user manual, or quick installation guide. please send us an email if you have any issue with the camera. 100% satisfaction guaranteed. 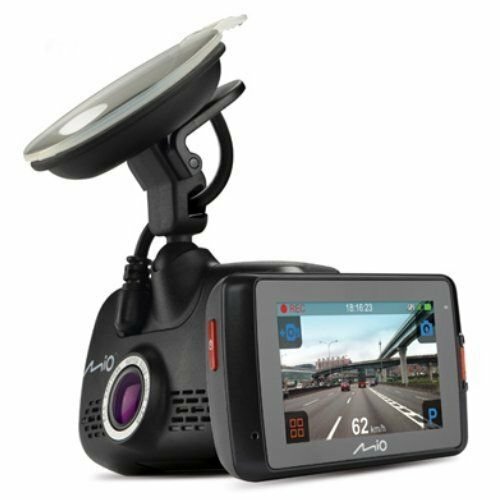 One of our favourite value for money dash cams. Great quality, and fantastic customer support. 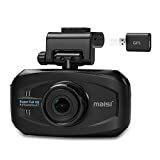 We're an Amazon associate powered website that brings you the best Dashcams and Sat Navs from across Amazon. We also provide product reviews among other articles.